Painting Pictures Blog Series on Third Culture Kids – Djibouti Jones. Rachel Pieh Jones is a writer who lives in Djibouti. Her work is beautiful and can be seen all over the web. She is raising three TCKs and sponsored the series above on TCKs. Cultural Transplants – Resources for Third Culture Kids – Comprehensive resources for TCKs that include articles, websites, blogs and more. Take a look! You won’t be disappointed! TCKids – TCKid is a active global community of Third Culture Kid (TCK) adults and youth across geographical boundaries. Denizen Online Magazine – Denizen is an online magazine dedicated to today’s Third Culture Kids. It represents the modern global nomad community, complete with attitude, expression and creativity. The Black Expat – If you’ve been around the adult TCK world for long, you know that we have some voices missing from the table. I love this site and the people who founded it. Stay tuned for some great things coming from this site. DrieCulturen – All about kids growing up in other cultures. Third culture kids. Expat kids. Refugee kids. Immigrant kids. The author of the blog is Janneke Muyselaar-Jellema and you will find this to be a wonderful resource with some excellent articles. Michele Phoenix – After a lifetime as a Missionary Kid and twenty years teaching them abroad, Michelle launched a stateside ministry devoted to helping them and to educating the Church about their strengths, struggles and needs. Michele primarily focuses on the subgroup of missionary kids. Libby Stephens – Libby has worked with the internationally mobile community since 1985. After working with Third Culture Kids (TCKs) at an international boarding school in Germany for 17 years, Libby returned to the United States in 2002 and became Director of TCK Services with Interaction International, Inc. working alongside her long-time mentor, the late Dr. David C. Pollock.Today Libby is a Third Culture Kid consultant, conducting Transition Training, Pre-departure Training, and Third Culture Kid Seminars all around the world. Taylor Murray – Taylor is an amazing, 17-year old author and blogger. She blogs about humor and hardships of culture shock and transition, grief, identity, and finding a sense of belonging despite constant change. One of my favorite pieces is 5 Key Steps to Walking Through TCK Grief. 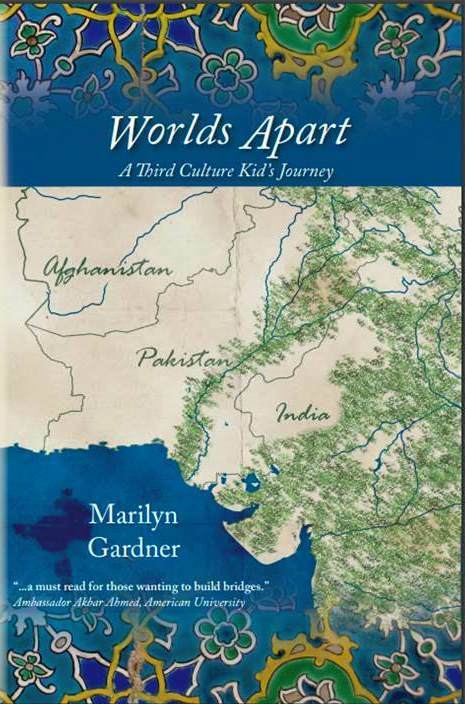 Also take a look at her book Hidden in My Heart: A TCK’s Journey Through Cultural Transition. Elizabeth and Jonathan Trotter – This dynamic duo is living and working in Cambodia and raising TCKS. Elizabeth is also an Adult TCK. Their writing alternates between contemplative, deeply challenging, and fun. Gathering Mustard Seeds – a blog by a college student raised in Japan, Australia, and Romania. Great writing and reflections. 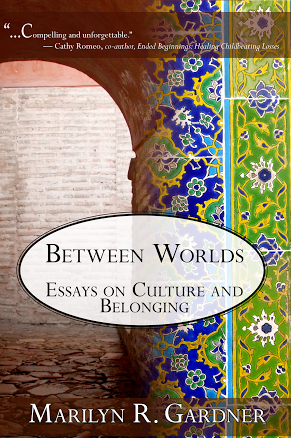 TCK Next Stop – Musings of a Third Culture Kid by Dounia. After living overseas most of her life in 7 different countries she is currently in the U.S. Dounia also writes for The Displaced Nation and Global Living Magazine. And then we moved to…. Not a purely TCK blog, but Mariam spent the past 15 years as an expat, living in 7 countries and 3 continents. She has traveled to over 50 countries and is now raising 2 multicultural and multilingual kids. Mariam invites us into her blog to see the inside of a family who packs up their lives again and again and adjusts to new countries. Her work is delightful. The Displaced Nation – A great blog for international creatives. Displaced nation inspires us to find a home for our wanderings and displacement through the arts. Communicating Across Boundaries – If you’re reading this post, you are here! Join me and Robynn as we talk about TCKs, cross-cultural interactions, world events, and faith. Paracletos – Cultivating a Community of Care – Paracletos does just what it’s name suggests: it comes alongside people, helping them live effectively overseas. Paracletos gathers resources and networks to offer the best support possible. Again, while not TCK specific, there is so much there that can help families and that ultimately helps third culture kids. Velvet Ashes – Velvet Ashes is an online community of women serving overseas. Many of them are parents or adopted aunties of TCKs. They have some excellent essays that speak to both to the head and the heart about TCKs. A Life Overseas – While this site is for adults that live overseas, primarily in mission work, there are also great resources for TCKs. My name is Ronan Collver I am a graduate student under the direction of Eric Van Duzer at Humboldt State University. If you know of anyone besides yourself that would be wiling to assist with my research, can you please pass this along as well? I have three surveys; one for TCK, ones for their parents and one for educators. The purpose of this study is to describe the cultural disconnect Third Culture Kids experience upon their return to the United States and evaluate best practices for educators who have these students in class. I would appreciate a few minutes of your time to complete the following survey. Please feel free to contact me with any questions. This is awesome Ronan! So glad you are doing this. Will happily fill in and pass on. You all are amazing! So glad to have your work. P.S. I had never poked around Michele Phoenix’s site before. All I can say is, WOW. And of course our beloved own Communicating Across Boundaries!